Our friendly organic cotton giraffe comes in soft purple picked out with orange ears and feet and gorgeous crochet spots. A perfect friend and companion for your baby. 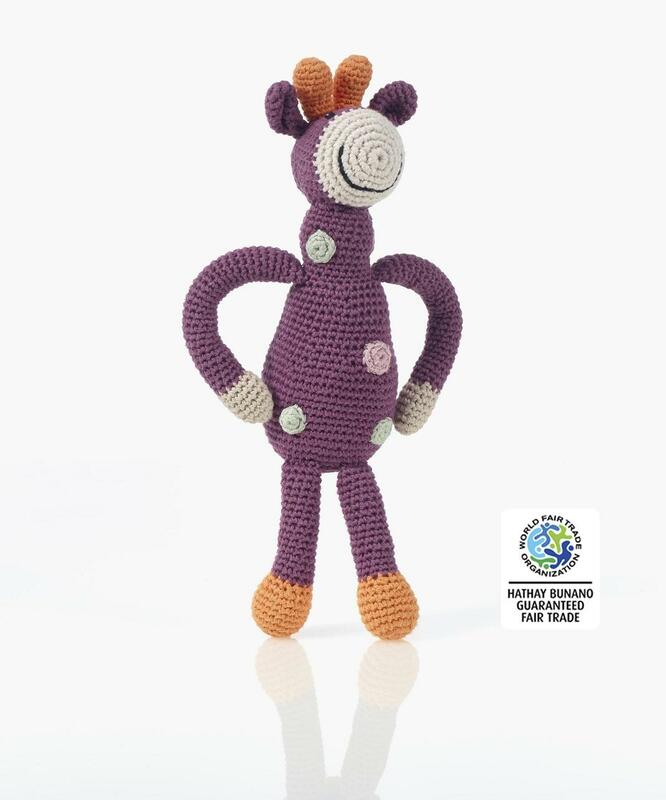 If you are looking for newborn Xmas gifts, why not consider this gorgeous organic cotton giraffe? Handmade, fair trade and suitable from birth.